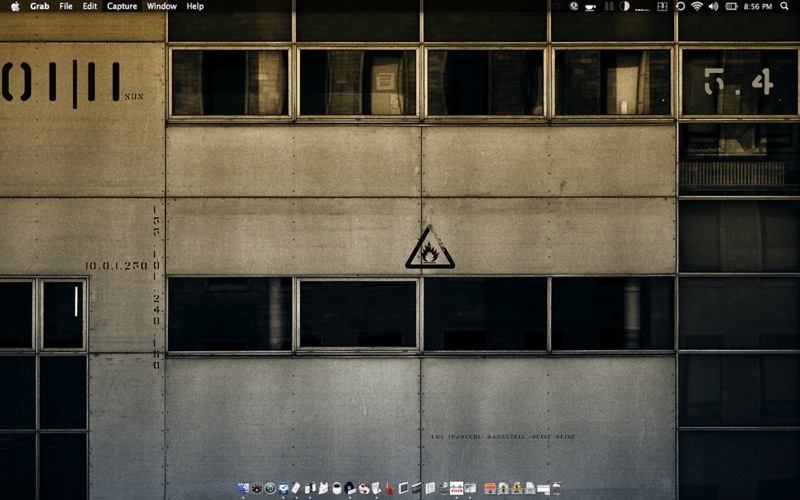 Reader rprathap's impressive desktop integrates a seamless HUD with his desktop wallpaper, creating the illusion that the system information on his desktop actually belongs on the wallpaper. The desktop sports an industrial feel that blends temperature, iTunes status, IP addresses, and the date with the wallpaper in such a way that you can hardly tell it wasn't a part of the background in the first place. The effect was accomplished using previously mentioned GeekTool, a Mac application that embeds information on your desktop. Although GeekTool is Mac only, with a little elbow grease the same look could surely be pulled off with one of the popular Windows counterparts (that is, Samurize or Rainmeter). I don't get it ... it's fine as far as it goes but there's no visual excuse for the navigation bars, surely making a blended desktop as art involves actually blending things in.